Society’s love affair with plastic is coming to an end. It is now undeniable that its hazards outweigh its benefits of convenience, and that something must be done to limit its adverse effects on human health and the environment. We’ve become dependent on plastic to sustain our modern lifestyle, but now it’s polluting our oceans, our landfills, and even our bodies. 40% of plastic is used only once and then discarded—and each piece will take at least 450 years to biodegrade (some experts worry that more durable types of plastic will never completely break down). Plastics contain toxic, endocrine-disrupting chemicals, which inevitably end up in our bodies and waterways. Phthalates, BPA, and other plastic constituents have been linked with hormonal changes, reproductive dysfunction, premature cell death, and many other health issues. And don’t think that “BPA-Free” plastic is any safer—studies have demonstrated that these alternatives are every bit as toxic. And plastic is in nearly everything, including kitchenware, paper products, shampoo, and dairy products. There have even been seized shipments of rice made from potatoes and synthetic plastic resin. Despite these clear dangers, we’re having an awfully difficult time kicking our plastic habit. Seeing the inaction of corporations and consumers alike, some governments are stepping in and regulating the use of plastic. Jamaica is at the forefront of this movement—starting January 1, 2019, all Styrofoam, single-use plastic bags, and single-use plastic straws will be banned countrywide. We’ve produced 9.2 billion tons of plastic since we started churning it out around 1950—and we’ve thrown away 6.9 billion tons of it. A United Nations report estimates that the world uses 4 trillion plastic bags and 500 billion disposable plastic cups every year. Half a million straws are used (and thrown out) every single day. It’s no wonder that there’s a plastic island the size of Texas in the Pacific Ocean (other estimates suggest it could be as big as Russia). Marine plastic pollution is an especially pressing issues for island nations, where beaches and waterways are becoming increasingly clogged. 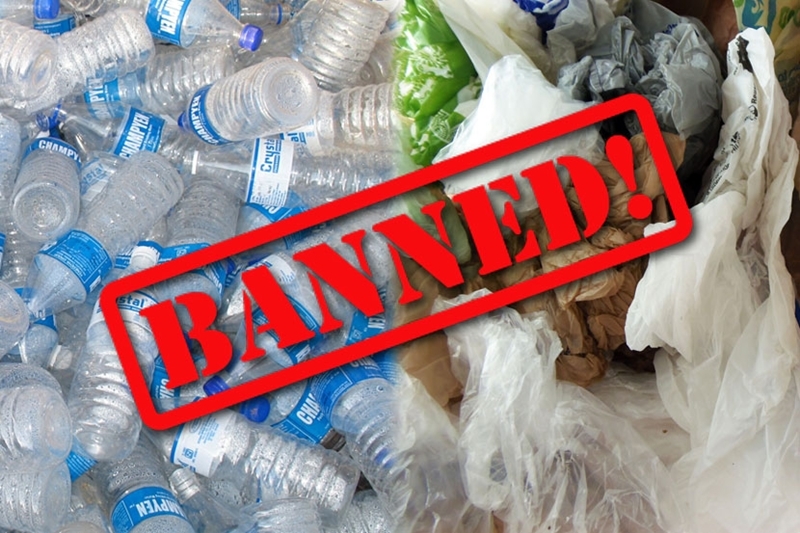 Jamaica is not the first country to enact a plastic ban, but by proposing such an ambitious timeline and including all common single-use plastics in their legislation, the country hopes to inspire other nations to take decisive action. It’s heartening to see that many other countries are taking similar steps. Taiwan also announced one of the farthest-reaching plastic bans in the world—one which will include all single-use bags, cups, straws, and utensils, and which will be in full effect by 2030. Kenya has already enacted the harshest plastic ban in the world: as of 2017, anyone caught using, producing, or selling plastic bags faces a $38,000 fine or up to four years in prison. Vanuatu, the United Kingdom, Australia, Zimbabwe, Canada, France, New Delhi, Morocco, Rwanda, and a handful of US cities are also jumping on the bandwagon. Meanwhile, scientists are hard at work developing plastics that will biodegrade quickly. The growing enthusiasm around plastic bans and regulations is much better news, though—biodegradable plastics may be a small step in the right direction, but many experts think they don’t represent a workable solution. Some of these supposedly eco-friendly plastics don’t even biodegrade like they should, and those that do run the risk of releasing toxic constituents into the environment at an even faster rate. Most importantly, simply switching to plastic that disappears more quickly reinforces the same old habits of excessive consumption and wastefulness. What we really need is a shift in the culture of consumption, one that prioritizes thoughtfulness, carefulness, and concern for how our actions impact the planet. Bans and regulations will obviously accelerate our collective shift away from plastic, but you don’t need to wait to take action. Start reducing your plastic usage today, for the good of your health and the planet. Here are just a few suggestions to get you started: switch out plastic kitchenware for glass, avoid buying bottled water (and get a water filtration system instead), bring your own to-go cup to coffee shops (some restaurants will even let you provide your own non-plastic to-go container when placing your order), get reusable grocery totes, and recycle any plastic that you do end up using.